Serve this shrimp scampi with a salad and fresh biscuits. 1. Preheat the oven broiler for 5 minutes. 2. In a hot heavy skillet, add butter, olive oil, Italian herbs, lemon juice, crushed garlic and parsley flakes. Whisk together and when mixture is hot, add the white wine and bring to a boil. Whisk while mixture is rendering down. 3. 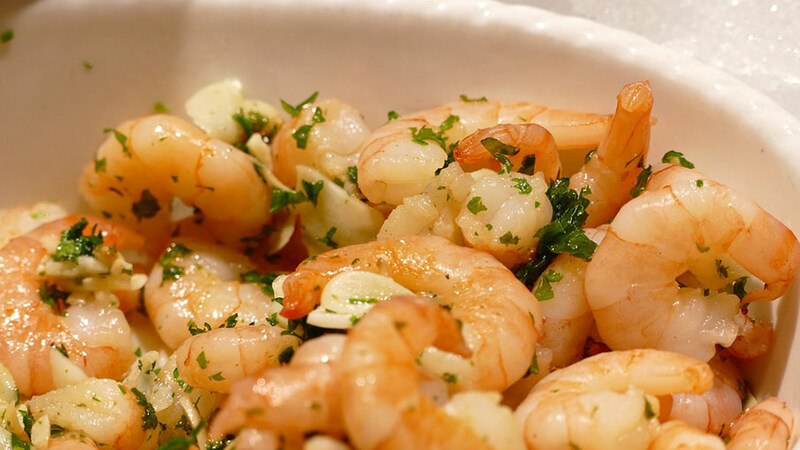 Toss raw shrimp with ½ of the white wine mixture. Add shrimp to a shallow baking dish and broil until hot and bubbly (approximately 6 minutes, turning once halfway through). 4. Toss the remaining wine mixture with some angel hair pasta, Parmesan and red pepper flakes. Top with broiled shrimp. Serve with a fresh salad and biscuits. For more seafood recipes, visit MissHomemade.com.